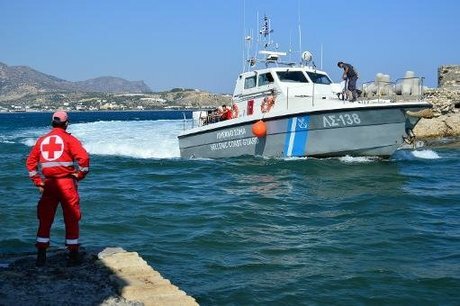 Three migrants were missing after their boat sank in the Evros river separating northeast Greece and Turkey, Greek police said Sunday. The boat, which sank Saturday, was one of two plastic vessels carrying at least 18 migrants, police said. Fifteen people, including 13 Afghans, an Algerian and a Syrian, were found safe and sound, but an Afghan, an Iraqi and a Pakistani remain missing. Greece is a main port of entry into the European Union for migrants and refugees fleeing war-torn or impoverished countries in Africa and the Middle East. But the sea journey is perilous and many drown in their bid to reach Greek territory. Just two weeks ago, 12 migrants including four children perished when their boat capsized off a small Greek town on the Ionian Sea.